This is a sponsored post for which I have received free product in exchange for an honest review. All opinions are my own. It's the most wonderful time of the year. A time for family, friends, personal reflection and growth, faith, and an intense sense of nostalgia. Between baking Christmas cookies, decking the halls, and attending school Christmas pageants with little ones reenacting the real reason for the season and then joyously singing the Little Drummer Boy; it can be hard to consistently be a thoughtful gift giver. We have so many other things which preoccupy our thoughts and demanding our time and attention. Not to mention, it is easy to become jaded by all the over-the-shelf solutions for the mom, man, or teen in your life. It seems like you have to pick one of the top ten items that appear on some magazine gift list and hope your recipient falls into that preconceived box - because all moms want candles and bubble bath and all men need a beard grooming kit or a new golf club right? This year gift giving doesn't need to be so stressful. At least not if you have someone on your list who needs the gift of time. 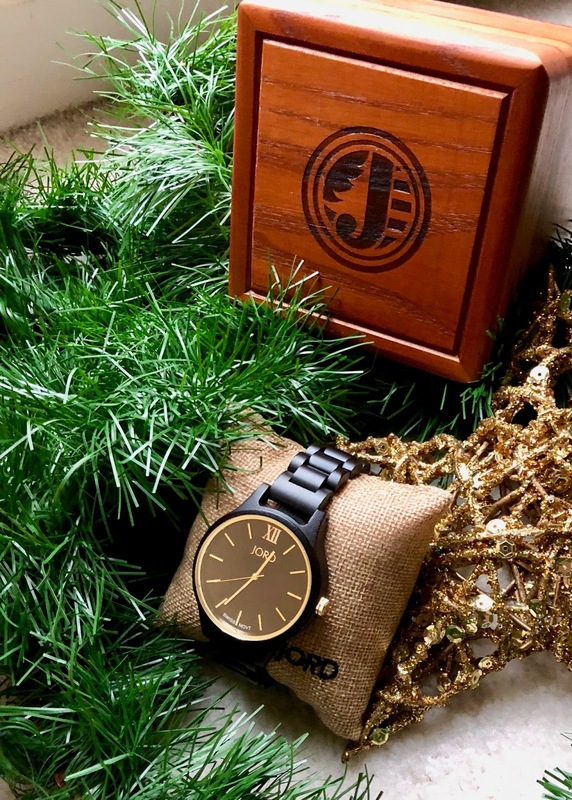 Jord Wood Watches are a classic gift option with a unique touch. They are all expertly crafted from a beautiful selection of exotic woods. The internal mechanisms are Swiss-made and self winding, so they have a timeless touch of quality which has been trusted for generations. 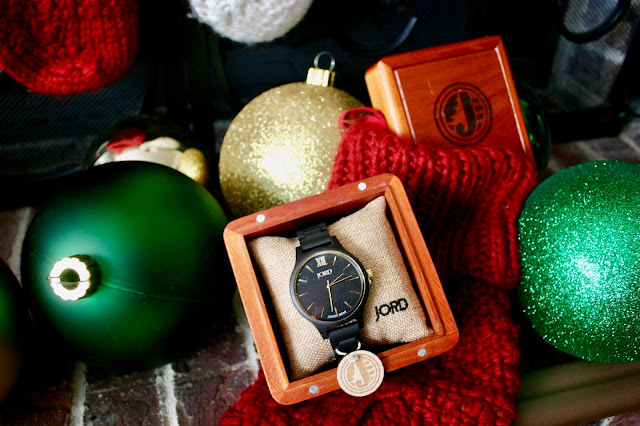 Jord Wood Watches can be engraved which gives each timepiece an extra-special touch and sentiment. There's a great selection of wooden watch options for both men and women, so there's really something for almost everyone on your gift list this year, young and old alike. I have been a long-time lover of Jord Wood Watches. 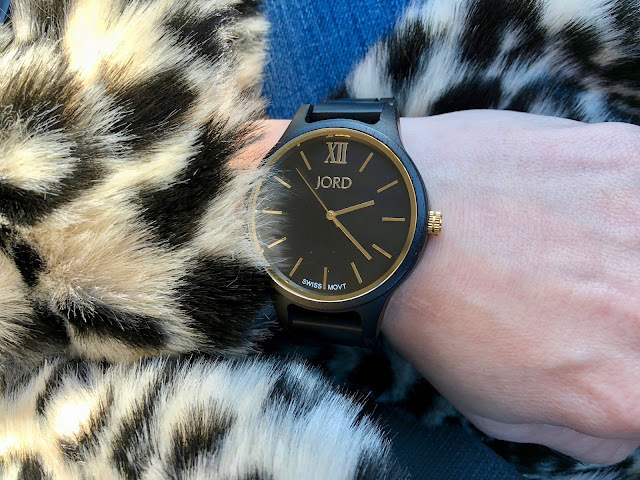 I've been wearing my Cora watch almost every day for the last two years, and I recently got a new, larger style Frankie in Ebony and Gold. I can say whenever I wear one of my Jord Wooden Watches I get compliments on it. Most recently, I've had an older woman stop me while I was grocery shopping and then a young teenager who worked at a photo center comment on the timelessness and craftsmanship of the watch. 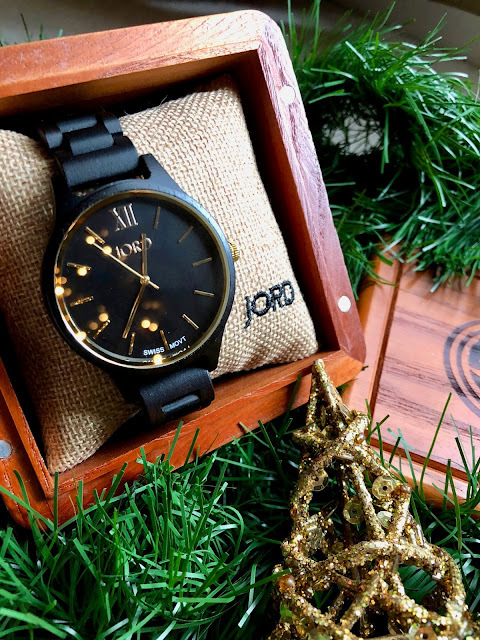 Jord Wood Watches come in a gorgeous wooden box, which is almost a gift in and of itself, so if you aren't the gift wrapping type, a gift from Jord is sure to impress, even without all the frilly wrapping and ribbons. This holiday season, do not settle for a one-size-fits-all gift. Explore some of the fantastic options from Jord. Also, did I mention you can save 25% on your purchase between now and December 15th, just by clicking this link? So hurry and place your order now so it will arrive before Santa Clause comes down the chimney. This is a great watch and a perfect gift for Christmas! I keep hearing good things about this brand.